Living God means we are going to pursue holiness. God tells us to be like Him even in holiness. He said, "Be holy because I am holy" (found in Leviticus a couple times and in 1 Peter 1:16). 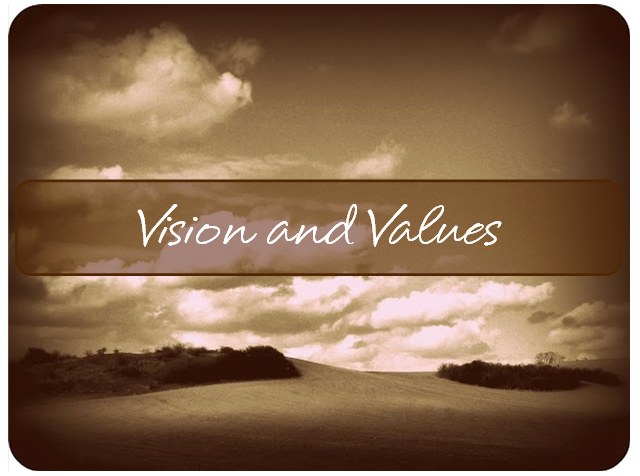 Our values will match up with God's values. Loving People means we are going to love each other and love those who are difficult to love. By adding the "ing", love will not be just a statement, but something that will be lived out. The Bible says they will know we are His disciples by the way we love each other (John 13:35). Changing Lives means we are going to practice discipleship. God is the one who does the changing but we can help connect people to God and lead them to grow closer to God. Our goal is to see God move people from darkness to light. We, the church, are to be a catalyst for connecting people to God. We value being Spirit-led... led by the Bible and led by Prayer.